This unique collection of short fiction takes the reader on an journey beyond the terrain of the clinical text or case study. 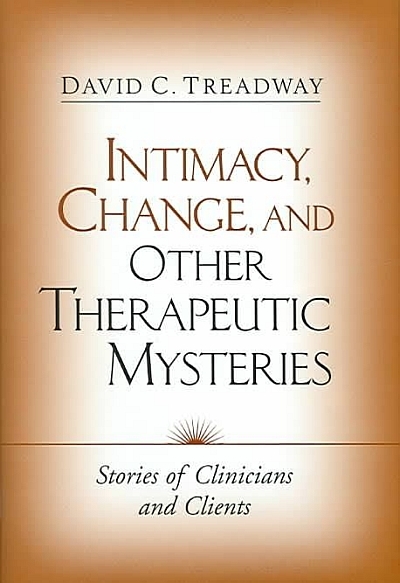 David Treadway not only explores the ways in which therapy addresses client problems, but also illuminates the impact of clinical work on the therapist, how what happens in sessions spills over into the personal lives of both parties, and how we can understand the myriad, often unpredictable ways in which change occurs over time. Delving into vital personal, professional, and ethical issues that are often neglected in clinical training - and offering insights to stimulate further thinking and dicussion - the volume is deeply instructive. This volume is a rewarding resource for psychotherapists from a range of backgrounds, including clinical psychologists, clinical social workers, couple and family therapists, and psychiatrists. It is also an invaluable tool for professional workshops or graduate training programs. David C. Treadway, PhD, is a nationally known workshop leader, Director of the Treadway Training Institute, and the author of Before It's Too Late: Working with Substance Abuse in the Family and Dead Reckoning: A Therapist Confronts His Own Grief. An award-winning contributor to the Psychotherapy Networker and other journals, he has appeared on 20/20, Good Morning America, and other national television programs, and has hosted a radio show on family issues for PBS. Dr. Treadway is in private practice in Weston, Massachusetts, and currently specializes in couple therapy and workshops that support therapists in their own journeys, both personal and professional. He has been happily married for 37 years to Dr. Kate Treadway and is the proud father of two sons, Michael and Sam.